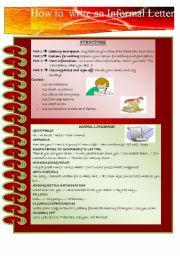 A reference guide on how to write an informal letter. 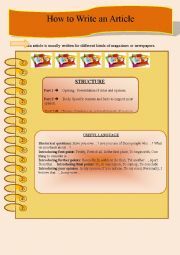 It includes structure, useful words and expressions, a model and an exercise.Great for intermediate / upper-intermediate levels.Hope you find it useful! 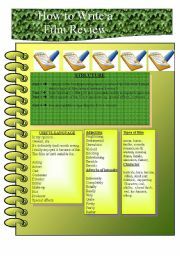 A reference guide on how to write a newspaper report. 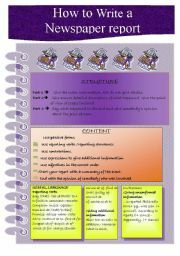 It includes structure, content, useful language, a model and an exercise.Great for intermediate / upper-intermediate levels.Hope you find it useful! Questions to practice for the Trinity ESOL exams ( levels 4 and 5). 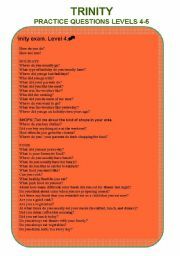 Questions to practice for the Trinity ESOL exams ( levels 1-3). 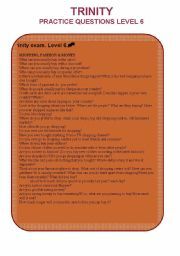 Questions to practice for the Trinity ESOL exams level 6. 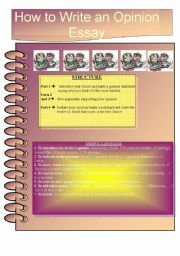 A reference guide on how to write an opinion essay+model+ writing exercise. ( Intermediate // Upper-intermediate level)Hope you find it useful!!! 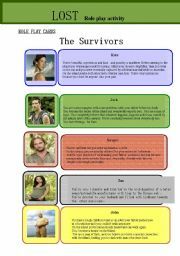 I love "Lost", the ABC TV drama serial and that�s why I�ve created this role-play activity for my students. Divide your students in two groups: The Survivors and The Others. 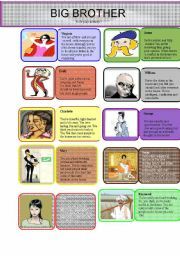 Give each student a role-play card, a situation card and the activity card. They should discuss within their group and then,with the other group.I hope you find it useful!!! A reference guide on how to write an article. It includes structure, useful words and expression and a model. Great for intermediate / upper-intermediate levels.Hope you find it useful!